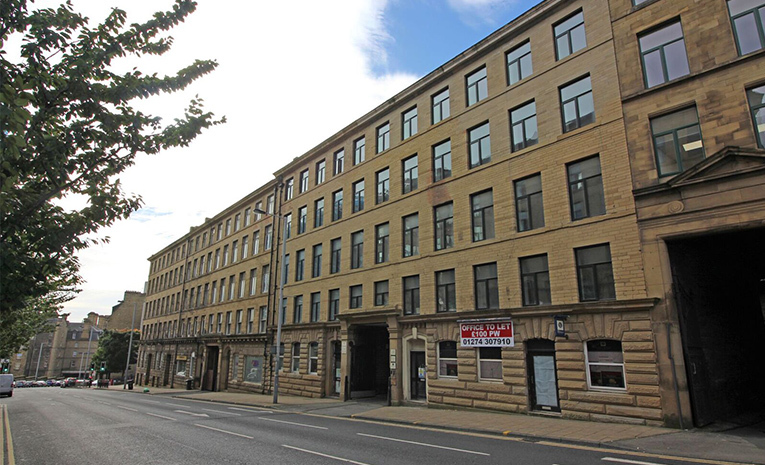 Fresh Invest is delighted to offer an opportunity to purchase a selection of tenanted studio and 2 bed apartments located in central Bradford. Fresh Invest is delighted to offer these well presented apartments located within this splendid conversion in the centre of Bradford. This recently refurbished property is located in the heart of Bradford City Centre and is short walk to the University, College and the Broadway. With the abundance of bars, shops & restaurants it has to offer. Each apartment has open plan living room and kitchen areas with high spec fitted units and appliances. The development has 30 apartments in total. With 26 Studio’s and 4 Two Bedrooms. 18.5% – Return on Capital invested. *Because of the 3 year rental assurance many banks may not lend however there is nothing to stop the investor refinancing when this comes to an end. A ten-year plan to drive forward regeneration in Bradford city centre has been unveiled by Council bosses. A new film production hub for the city, better road and rail links and the “reinvention” of the Thornton Road university and college area are all on the cards over the next decade. The Bradford City Plan also brings together much-publicised plans for a redeveloped Odeon, a refurbished St George’s Hall, a new city-centre pool and a retail academy. The city centre will be maintained to the “highest standards”, with more privately run and commercially sponsored events and facilities. But with public sector funds shrinking, the plan stresses the important role the private sector will play in making it all happen. Bradford Council leader David Green said: “We need a City Plan as whilst the Council will continue to have an important leadership and regulatory role in many of the projects, it is likely that an increasing number will be delivered through partners and the private sector as public sector funding reduces. The plan will concentrate on five key locations: the ‘independent quarter’ at the top of town, the Forster Square and cathedral area, Thornton Road’s ‘learning quarter’, City Park’s business and culture cluster and the city centre retail and leisure area.